The mgl Scrap Creative Team is excited because we are hosting a speed scrap/chat THIS FRIDAY at Scrapbookgraphics! I will be your hostess for the evening. We are giving away a $10 gift certificate to a lucky scrapper PLUS there will be surprise freebies for everyone who participates! mgl Scraps CT » Blog Archive » Why are we excited? TDS Issue 16 - What A Scrap! Our little blessing, Emily Celeste Shanhun entered the world at 1:25pm on the 2nd of June, just a couple of days early. Weighing 3.07 kg (6lb 12 oz) and 48 cm long. It was a blessing that Mum Okely happened to be in town for the long weekend and she could stay on for the week. In Emily’s first days she was also able to meet Mum Shanhun, and my Dad, Lauren, John and Caitlin. We can’t wait to come to Perth and show her off to the rest of the family. Emily’s doing really well with her sleeping and loves meeting people, she’s such a little sweetheart and has just started to smile. I'm going really well pregnancy wise but I've had a cold so that's been annoying. I saw the doctor yesterday and all looks good for the baby to arrive soon (head's engaged etc). I've been some walking in an attempt to help it on it's way! Fingers crossed it all goes smoothly! My parents are up for the long weekend so hopefully 'Pebble' may even arrive a little early. We've pretty much had everything ready for the last week or so, Phill's still working on renovating the cot that I and my brothers and sisters had. Yes, it is practically a family heirloom now! We do have a bassinette for the first couple of months. We are both pretty keen for the baby to arrive now, so I'm trying to keep myself occupied with little bits and pieces to do at home. I’m really excited to be an aunty - our first nephew Jake was born on the 12th (I got to see him as we were in Perth for Phill's work) – Daniel and Amberley’s precious new boy is so adorable! A couple of other friends from church had babies on the 14th and 19th and one of Phill’s engineering mates had their baby on the 23rd so it’s all go on the baby front! I guess next time I blog, it will be to let you know of our happy news – each day is a day closer to the arrival! 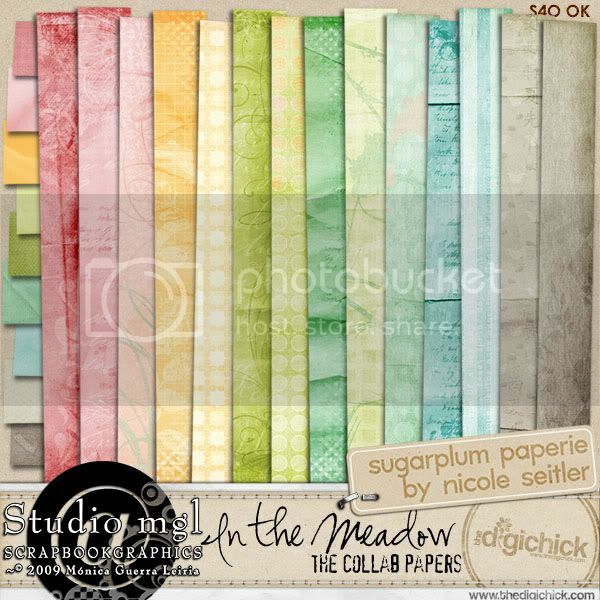 mgl Scraps » Blog Archive » In the Meadow now @ SBG ! Remember Mónica’s collab with Nicole, In the Meadow? 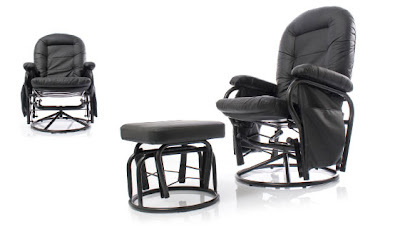 Well now you can get it at SBG!! In the Meadow it’s full of Springtime goodness and sweet feelings. You’ll love the soft and playful colors and the charming elements! It contains 22 patterned and plain papers, over 25 unique elements and two full alphabets! Here’s a peek at the 22 gorgeous papers included in this kit. 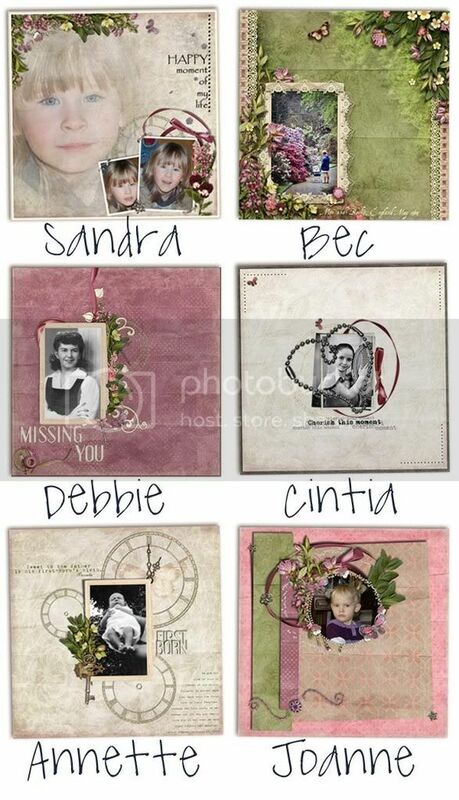 Why now check out our CT blog scraplift challenge is closing on the 15th! Enter to win $10 to spend at Studio mgl. I've been planning to update you all on our South West trip - but I just haven't quite got around to it yet! I've been putting some photos up on Picasa - just email me if you'd like a link. Needless to say, we loved our trip and though I was pretty tired we stayed well and still got to see quite a few things! The weather in Margaret River, Pemberton, Walpole and Denmark was lovely but the second day in Albany it turned very overcast for Bremer Bay and Esperance. We managed to run into plenty of people we knew - even Phill's boss from Kal happened to be waiting at the tourist tram in Pemberton! In March we had Dad S up for a few days for work, so that was great to see him, though Phill had 2 days of shutdowns and a trip to Perth, so he didn't see too much of his dad, we did manage to catch up for dinner. Plus I enjoyed a couple of lunches at Bliss Cafe. I love the fact that we have such a great cafe just down the road. Literally 2mins drive! Last Saturday night some friends from church all went to the last Sunset at the Soundshell Concert, it was a fun night, with lovely weather, great company and an awesome bring and share dinner. The weather here is cooling down (27-30 most days) so Phill and I are going for a walk most evenings, sadly the hospital doesn't have enough interested mums to run their usual exercise classes at the moment, but I'm on the list, hopefully it will start soon. We've started antenatal classes and I managed to make it through the first one without fainting! Phill's finished making the change table, we've just got our basinet set up and I'm just itching to get everything set up. But as Phill says Pebble's not due for 11 more weeks so I'd better leave some stuff to do then!